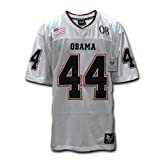 Commemorate the tenure of America's first President of African American descent! 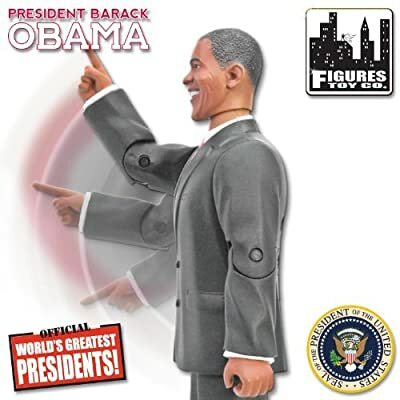 Hailed as a bringer of hope and winner of the Nobel Peace Prize, this President Barack Obama 8-Inch Talking Action Figure features the Democrat wearing a gray suit with pink tie, a cheerful smile on his face, and even recites 3 actual quotes from President Barack Obama himself! 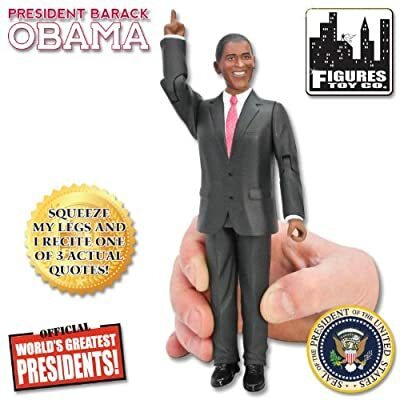 Measuring 8-inches tall with multiple points of articulation, the Talking President Barack Obama Action Figure is a must-have for fans of this iconic American President. 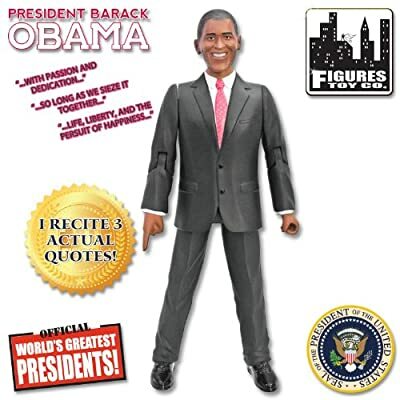 Talking President Barack Obama states the following 3 phrases (subject to change): 'We hold these truths to be self evident, that all men are created equal with certain unalienable rights, and among these are life, liberty, and the pursuit of happiness.' 'My fellow Americans we are made for this moment and we will seize it, so long as we seize it together.' 'With common effort and common purpose, with passion and dedication, let us answer the call of history and carry into an uncertain future that precious light of freedom.' Ages 8 and up.